Home is where the heart is — and it’s all here at The Craftsmen. This exciting development brings a new approach to luxury living in Long Island City. These impeccably designed townhomes on 45th Road, 46th Avenue and 47th Road are unlike anything else in the neighborhood. Each unit within the eight 4-story townhomes offers the appeal of being in your own home within the city. It’s sure to be a coveted new address at the heart of one of New York City’s most alluring and vibrant communities. The handsome, inviting exterior façade sets the tone for the inspired design of these finely crafted residences. 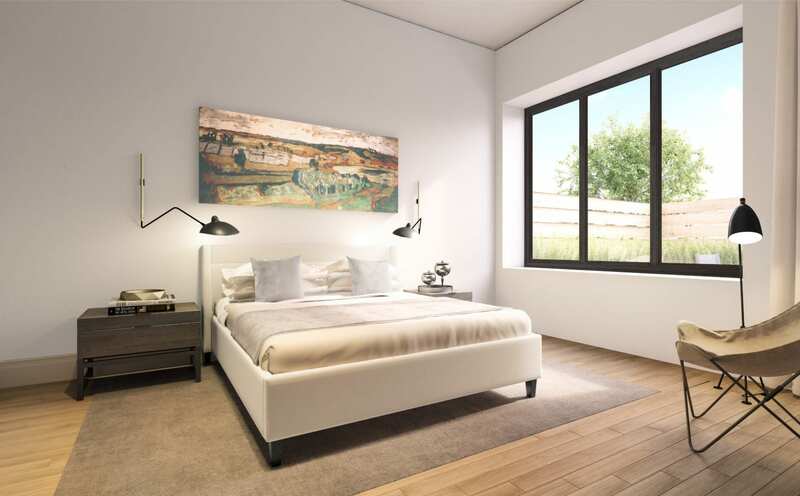 Generously proportioned, these airy units range from studios to 3 bedrooms, accommodating everyone’s needs while enhancing the definition of home. The result is a private sanctuary that is both separate from and connected to this thriving, dynamic neighborhood. All homes feature high ceilings, solid white oak floors throughout and oversized windows. 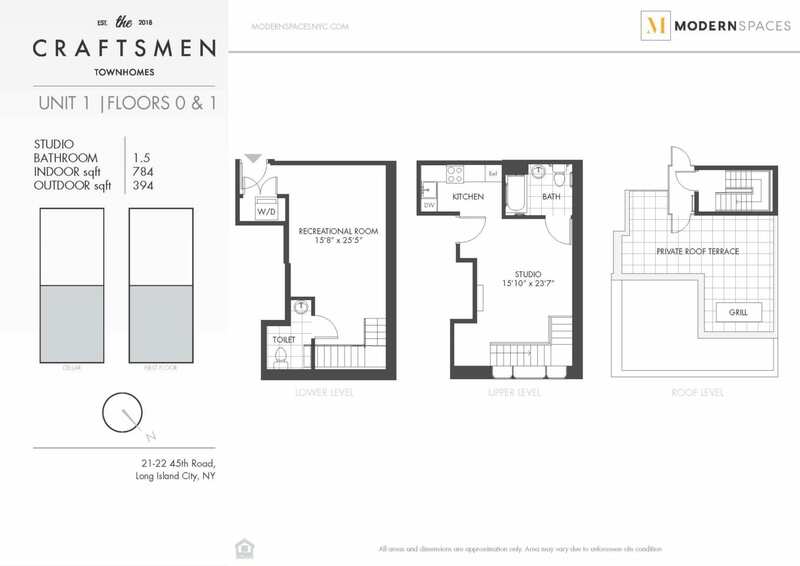 Ranging from 647 to 1,296 square feet, each unit comes with an individual outdoor space to unwind in and relax. 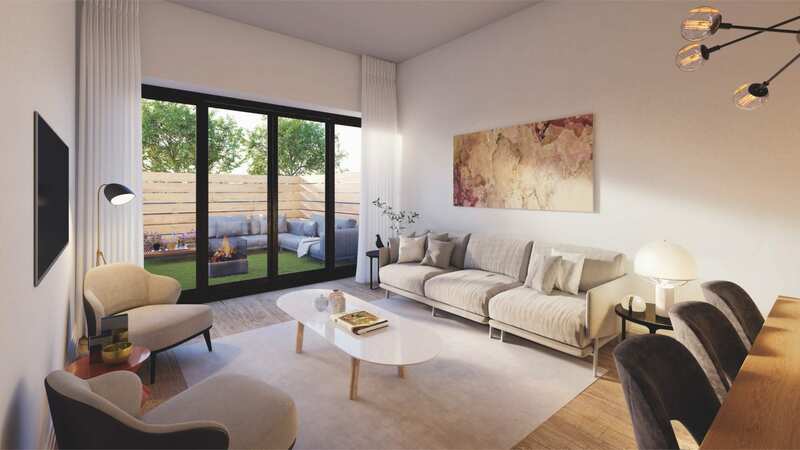 Smartly styled layouts have been meticulously crafted with the most in-demand finishes, all carefully considered to ensure an elegant, refined simplicity that is ready for you to make your own. Thoughtfully crafted gourmet kitchens integrate Bosch refrigerators and dishwashers with Bertazzoni ranges and Bosh microwaves, along with a mosaic tile backsplash and Caesarstone countertops. 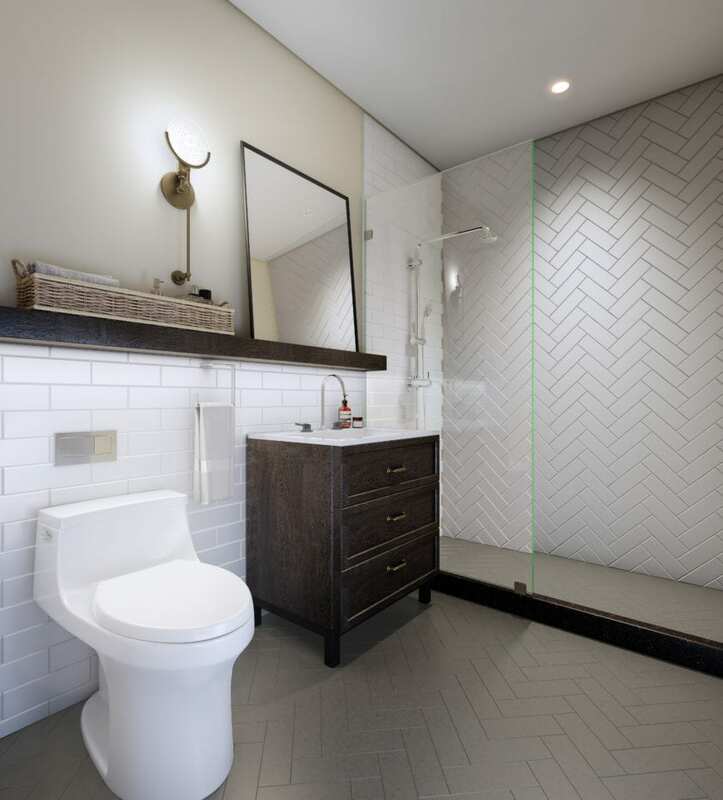 Stylish bathrooms are outfitted with Grohe faucets and showers, Kohler sinks and toilets. Every home includes a washer-dryer hookup. 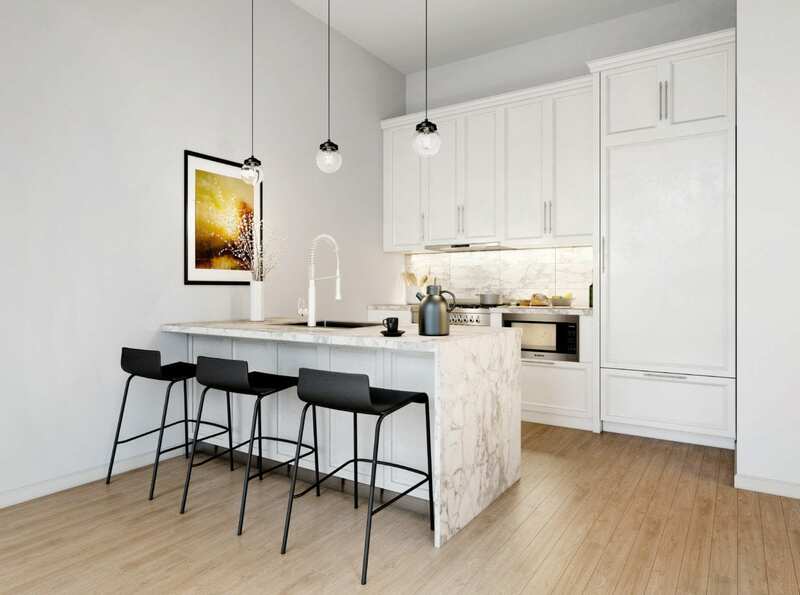 The Craftsmen Townhomes are ideally situated at the intersection of both Hunters Point and Court Square, an appealing waterfront neighborhood with close proximity to many transit options. Manhattan is easily accessible via the 7, G, E, M and W subway lines. The creative energy of LIC’s arts and cultural scene is all within reach, along with restaurants, shopping, the John F. Murray Playground, and so much more. Home is where the heart is — and it’s all here at The Craftsmen. This exciting development brings a new approach to luxury living in Long Island City. These impeccably designed townhomes on 45<sup>th</sup> Road, 46<sup>th</sup> Avenue and 47<sup>th</sup> Road are unlike anything else in the neighborhood. Each unit within the eight 4-story townhomes offers the appeal of being in your own home within the city. It’s sure to be a coveted new address at the heart of one of New York City’s most alluring and vibrant communities. The handsome, inviting exterior façade sets the tone for the inspired design of these finely crafted residences. Generously proportioned, these airy units range from studios to 3 bedrooms, accommodating everyone’s needs while enhancing the definition of home. The result is a private sanctuary that is both separate from and connected to this thriving, dynamic neighborhood. All homes feature high ceilings, solid white oak floors throughout and oversized windows. 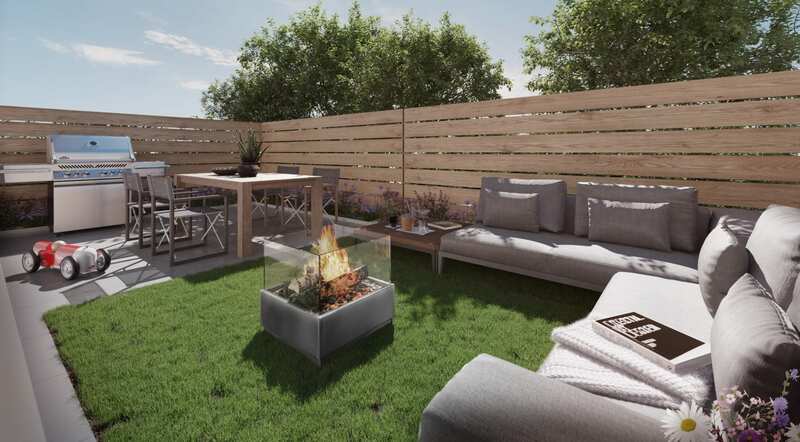 Ranging from 647 to 1,296 square feet, each unit comes with an individual outdoor space to unwind in and relax. Smartly styled layouts have been meticulously crafted with the most in-demand finishes, all carefully considered to ensure an elegant, refined simplicity that is ready for you to make your own. Thoughtfully crafted gourmet kitchens integrate Bosch refrigerators and dishwashers with Bertazzoni ranges and Bosh microwaves, along with a mosaic tile backsplash and Caesarstone countertops. Stylish bathrooms are outfitted with Grohe faucets and showers, Kohler sinks and toilets. Every home includes a washer-dryer hookup. The Craftsmen Townhomes are ideally situated at the intersection of both Hunters Point and Court Square, an appealing waterfront neighborhood with close proximity to many transit options. Manhattan is easily accessible via the 7, G, E, M and W subway lines. The creative energy of LIC’s arts and cultural scene is all within reach, along with restaurants, shopping, the John F. Murray Playground, and so much more. Express yourself in a home that feels like it was designed especially for you. It’s urban living redefined, resulting in an intimate private retreat that is a combination of comfort and convenience expressed through outstanding craftsmanship.